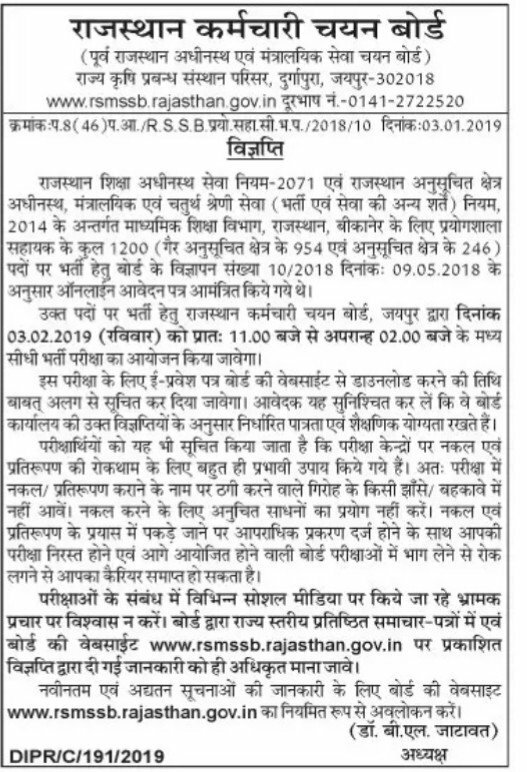 Rajasthan Sub-Ordinate and Ministerial Services Selection Board (RSMSSB) has released the lab Assistant examination date. Which is organized for 1200 posts. Examine candidate can read official press released notification below and done their preparation. Ladies ke lie center home district me hi milega kya?